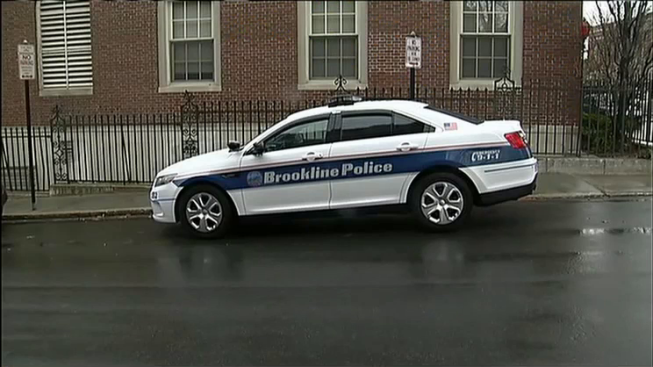 File photo showing a Brookline Police cruiser. A police officer was injured in a crash Thursday evening in Brookline, Massachusetts. Police say the officer was responding to another crash when he was involved in a collision at the intersection of Hammond Street and Woodland Road. The injured officer and two people from the other vehicle were taken to area hospitals.